Suppose that you’re preparing to play or sing in public. How do you bridge the gulf between personal practice and public performance? I’ve observed that many rising musicians underperform because they omit a crucial element from their preparatory routines: practice performances. 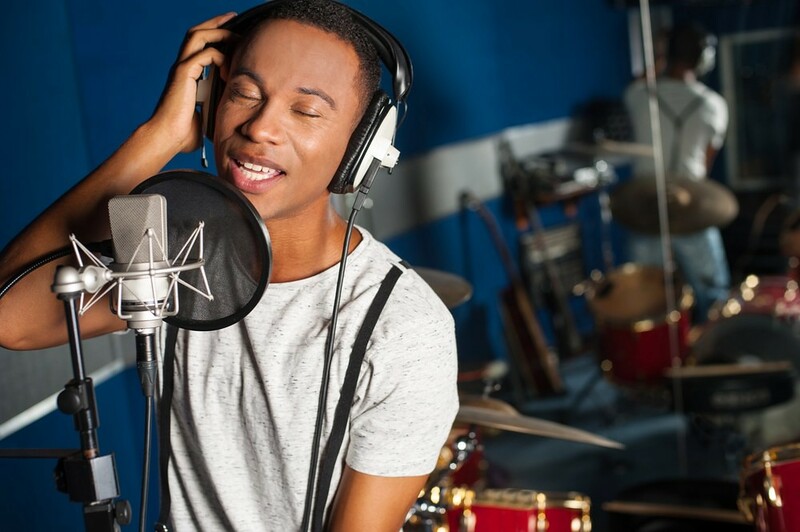 Here are 3 ways that instrumentalists and singers can practice performing and become masterful on stage. 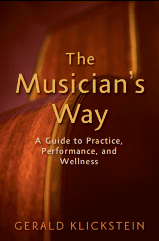 All of these concepts are expanded on in Part II of The Musician’s Way. The skills required to perform soulfully in public have to be practiced. All of us, therefore, need opportunities to try out our material, learn how to manage our nerves, and refine our stage presence. I’ve found that the ideal setting for doing so is in a performance-development group. To form such a group, you need two or more soloists or ensembles of comparable ability, a defined space such as a classroom or living room, and a mutually supportive attitude. Your attitude is of utmost importance because your group must provide a safe, nonjudgmental setting where you can experiment freely as performers and grow from your experiences. For instance, what if a rising musician wants to build her confidence on stage, test her memory, and explore ways to counter jitters? How does she find out without risking her reputation in a public setting? A supportive performance-development group supplies her with what she needs. She can play or sing fearlessly in front of her colleagues, and they’ll cheer her on in her quest for excellence. It’s vital, however, that you make your practice performances concert-like. To that end, abide by concert protocol: performers should enter to applause and perform complete compositions; listeners should applaud afterward. In addition, use a recorder so that you can review your work later. • Keep your comments brief. • Use courteous “I” statements. • Offer at least three positive remarks for every criticism. In a private run-through, you perform without an audience, other than your recorder and maybe the cat. Commit to doing run-throughs at set times, and implement your standard preconcert routines – arrange your meals and other preparations exactly as you would for a public show, because preconcert routines need practice, too. When you perform a run-through, visualize an audience, and play or sing your heart out. At the same time, rehearse specific skills. If you tend to stiffen on stage, let’s say, practice releasing tension and transmitting warmth. To enliven your stage presence, employ a video recorder and explore various gestures. The benefit you derive from any practice performance will hinge on how honestly you evaluate your work and the ways in which you practice in response. During your self-assessments, therefore, be objective and detached: treat glitches as useful information and never as personal shortcomings. For example, after you run a solo, you might go over your recording, jot down notes, and rehearse improvements. A few days later, following additional targeted practice and another run-through, you might opt to perform the music for your performance-development group. The above sorts of practice performances are invaluable, but public shows are going to be more intense, and we want them to be, but in positive ways. Low-stress public shows give us chances to present our music in actual performance situations, but when the stakes are low. So, although we take such performances seriously, we give ourselves permission to have fun on stage and not worry. As a result, we build our confidence and artistic prowess. We’re then primed to excel at higher-stakes concerts. Representative venues for such performances include coffee shops, house parties, and church or synagogue meeting halls, where we might invite congregants to hear us and donate to a charity. Such performances enable us to build audiences, serve our communities, and lift our artistry and self-assurance to new heights. When we integrate these three types of practice performances into our creative process, we can erase any disconnection between our solitary practice and public presentations. Of course, it takes time and effort to refine our craft, but let’s remember that performance, at its heart, is an act of beauty and generosity. 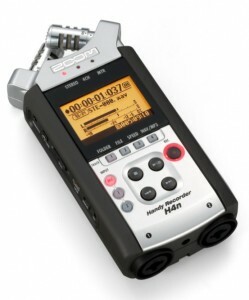 Zoom H4n Pro. A musician favorite. Zoom H2n. Excellent for self-study recording. Tascam DR-22WL. A less-expensive option for self-study recording. Zoom Q4n. Designed with musicians in mind. Exceptional HD video and audio quality. HD camcorders at Amazon – vast selection. Beautifully said, G. Thank you. “performance, at its heart, is an act of beauty and generosity” is a sentiment that I think should be at the heart of musical training, and yet I see it so often missing and I think that is a sad situation. But also I propose there is more to all this music business than simply learning to craft a beautiful flower and handing it to our audience in hopes of their appreciation: there is also what we might call a “sacred purpose” that we fulfill as musicians. Regardless of genre, there is a deep and very human need for what we do, and you might (as Beethoven did) call this the opening of a connection to God, or just the scratching of a core itch in the DNA, whatever it is, when we actually do it, the whole game changes, the whole situation is other than simply a recital of pretty people making pretty music, there is a ‘wow’ factor that reaches our bones. So I’d extend your advice to remind prospective ‘practitioners’ (in the medical sense) that they are giving more than a thoughtful gift, they are administering a cure.